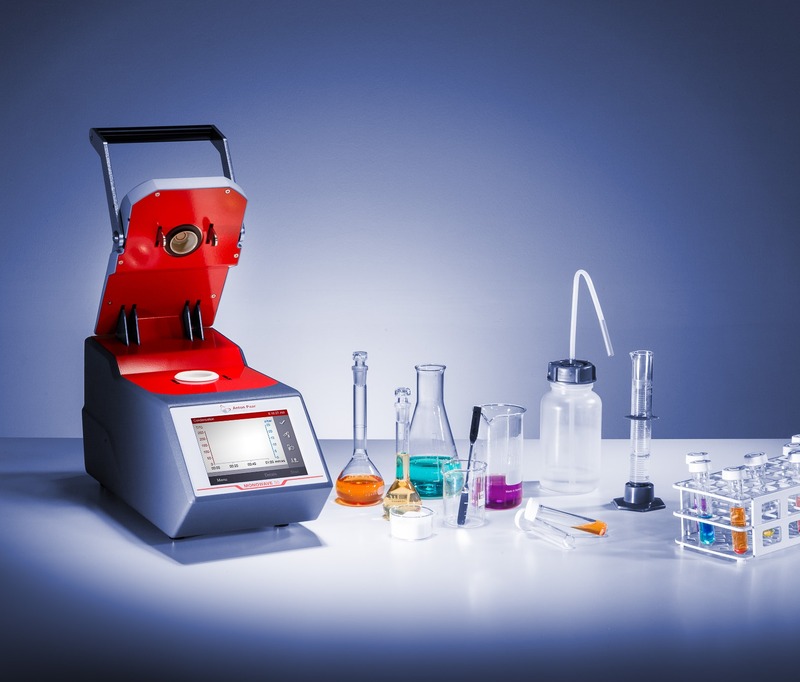 The Monowave 50 has been designed to enable students to perform simple and safe chemical synthesis experiments at elevated temperature and pressures. The award-winning Monowave 50 is a modern tool for students and teachers in educational laboratories to perform rapid and simplified experiments under elevated temperature and pressure conditions, making chemical synthesis extremely easy. All you need to begin with is a Monowave 50, one vial, one reusable cap and one stir bar. It takes only 5 minutes to install the instrument and 40 seconds to start. Within minutes, the experiment is finished and Monowave 50 is ready for the next reaction. Despite the high-temperature experiments and high-speed reactions, closed-vessel chemistry is safe and simple with Monowave 50. Anton Paar’s high safety standards make chemical synthesis accessible to students with all levels of experience. Integrated temperature and pressure control ensure traceable and reproducible experiments. With the integrated capacitive touchscreen and the intuitive software of Monowave 50, you can program experiments and control the reactor like you would use a smartphone or tablet. The obtained data can be seamlessly exported, saved and plotted for evaluation and integration into the students’ lab books. The Monowave 50 offers all the benefits of a microwave reactor (high speed, safe pressurised reactions). The conventional heating design reduces its footprint to only 25 cm x 40 cm x 20 cm and saves valuable bench space. It can also be operated safely outside the fume hood. Altogether, the Monowave 50 is an economically priced but versatile and compact tool for synthesis. So much so, that the closed-vessel reactor has received an “R&D 100 Award” as one of the most technologically significant new products in the category “Lab Instrumentation”.